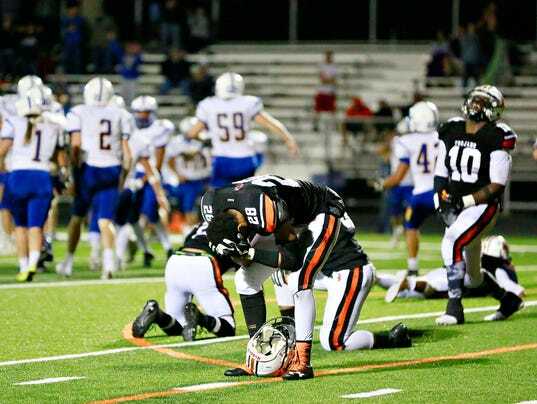 After a controversial call went against York Suburban in Week 4’s last-play, final-seconds defeat to Kennard-Dale, it would seem that an ending of that nature would be hard to top. It didn’t even take a week for another ending to surpass last week’s in terms of heartbreak in a season that is becoming all about tough luck and close calls for the Trojans. Playing on Thursday night, Sept. 28 because of Yom Kippur, Suburban was again on the wrong end of a controversial decision and last-second defeat. Tied with Northern Lebanon at home in the final seconds of the game, the Vikings lined up to attempt a 25-yard field goal with 15 seconds to play.